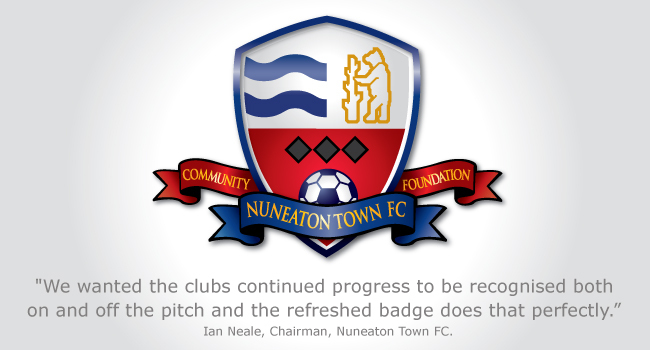 Ambitious Blue Square Bet North club Nuneaton Town FC have sought to reflect their on-field potential with a brand refresh, beginning with the club crest and currently being rolled out to other areas of the club. 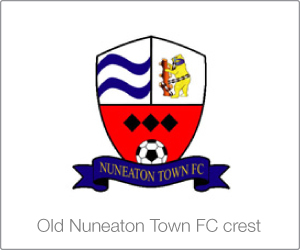 Brilliant Orange were asked to update the existing badge, retaining the key ingredients recognised for so long by the core supporters; yet adding a modern reflection of the clubs new-found taste for the upper echelons of the non-league football pyramid. 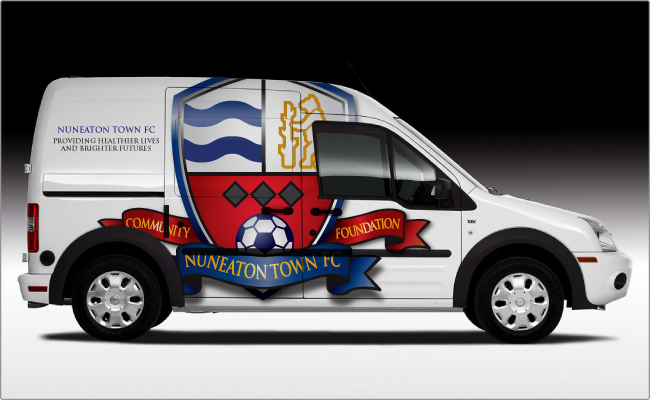 With a healthy following within the local community and vigourously supportive of Nuneatons schools and junior clubs, Nuneaton Town's Community Foundation is seen as a 'model of what a community club should be' by Lord Faulkener, Vice President of the Football Conference.